Fall is upon on us and that means baking season is here! Pumpkin, apple, pies, cakes, soups, casseroles, and all sorts of amazing dishes will be enjoyed at every day meals and special occasions. And to celebrate the season I am going to be featuring a different recipe and a different blogger each Wednesday and Friday until we reach the holiday season. By that time you’ll have an arsenal of recipes for all of your holiday parties! Because of my love of pumpkin and apple I have a cake that has both of them in it. It’s the best of both worlds! This pumpkin apple cake is sweet, dense, and delicious. 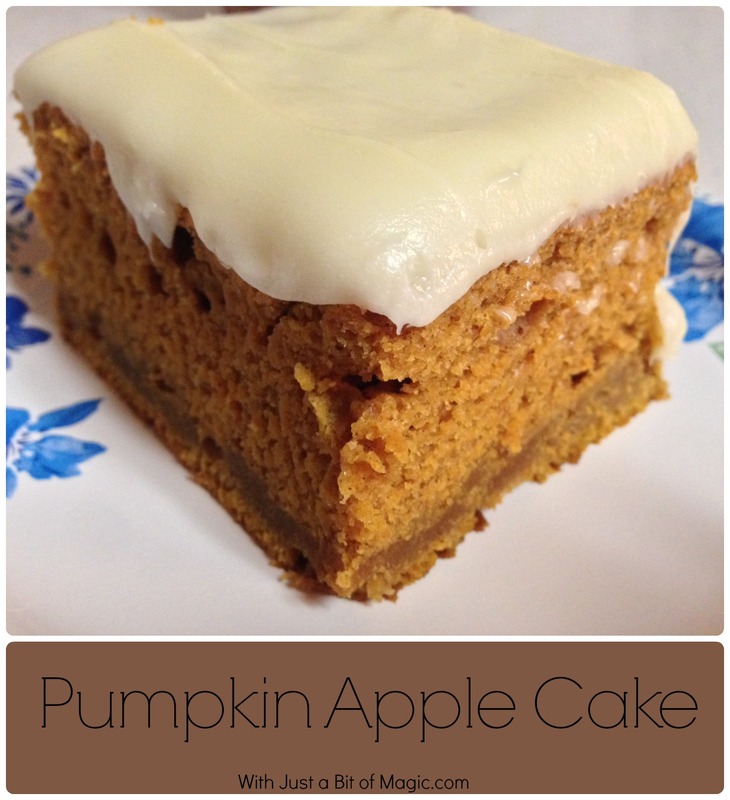 It has rich pumpkin flavor with little bits of apple scattered throughout the cake. It’s the perfect end to a chilly fall day with a warm cup of chai… tea… coffee… or even warm spiced cider. When I made the cake over the weekend I was going to leave it plain or just give it a dusting of powdered sugar and then my daughter stepped in. Cream cheese frosting was required to make it perfect. And just so you know, it was perfect. It added a little bit of extra… oohmp… to the cake. Spray a 13x9 or bundt pan with vegetable pan spray. In large bowl, beat eggs with electric mixer until they turn a light yellow color. Gradually add sugars, oil, apple sauce, pumpkin, cider, and vanilla; beat thoroughly. Sift flour, cinnamon, salt and baking soda together; add to egg mixture and mix well. Stir in apples. Bake 55-60 minutes for a bundt pan and 35 - 40 for a 13x9 pan, or until toothpick inserted in center comes out clean. Let cool in pan 15 minutes. Remove from pan and cool completely on wire rack if you're using a bundt pan. When cool frost with your favorite cream cheese frosting or glaze. If you wanted you could even use a couple of 9in cake pans and make this into a layer cake. But in the essence of time and ease I used a 13×9…. meaning I wanted to be able to eat it sooner rather than later. Are you interested in guest posting and sharing your favorite fall recipe here? If so, I’d love to have you here with me so just email me or leave me a comment. Make sure to come back and check out all of the incredible guests that will be sharing their favorite fall recipes with you! I have been patiently awaiting the arrival of fall… okay, so maybe I haven’t been all that patient. But it’s been in the 90’s the last few days with 100% humidity and it’s September. Fall weather should just about be here already! I’m looking forward to fall for several reasons and one of those is fall fashion! With cooler temps I can break out the boots, the scarves, cardigans, sweaters, and all of my fun layering pieces. This weekend the heat is supposed to leave us and much cooler… 60 degree temps should grace us and that means that an outfit like the one below is what I’ll be wearing. Besides cute new fall clothes there’s Friday night football games (where I could wear the cute clothes). Even though our high school team has lost the first two games that they’ve played I have hope that they’ll win the next two games. Even if they do lose it’s fine because I really just go to see the band. 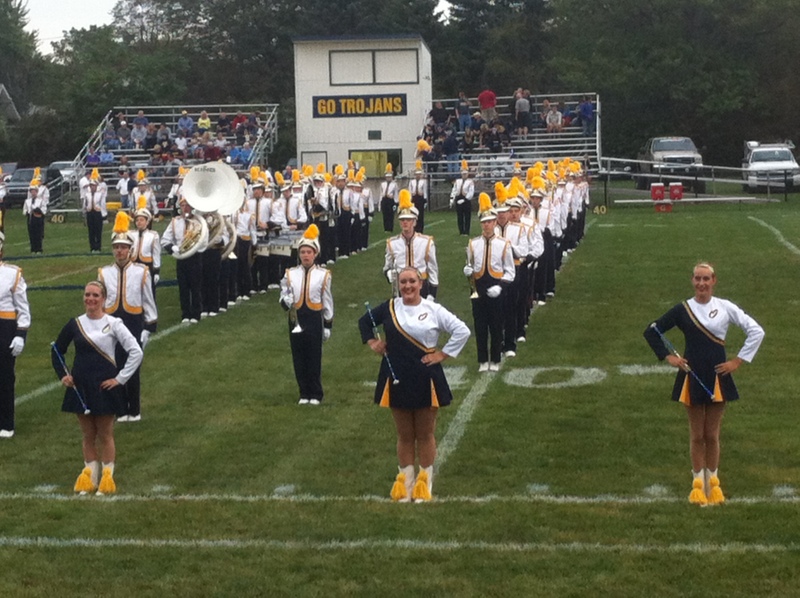 See… the band is the best! Let’s see, what else is there in fall that’s amazing? Oh yes, the beautiful fall colors. 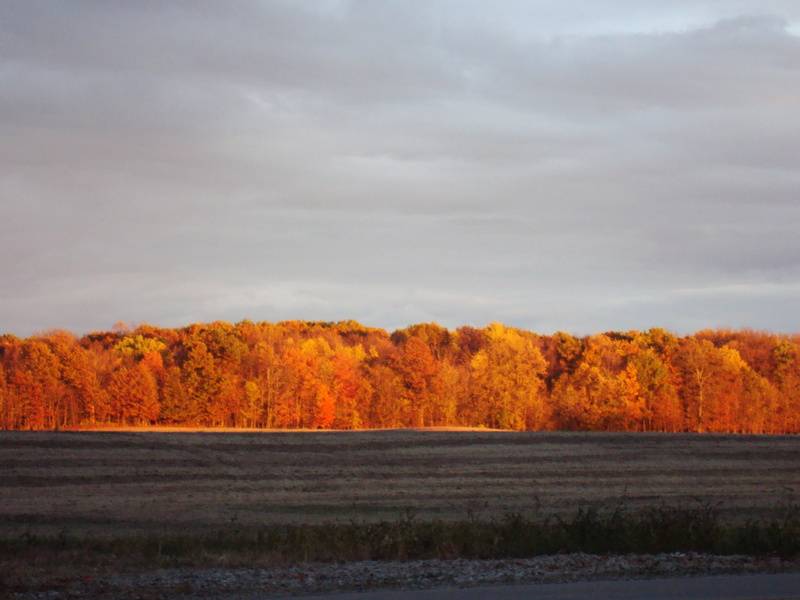 Here in Michigan the trees turn the most amazing shades of red, yellow, orange, and are intermingled with green and brown. As you drive around the state, especially the north and northwest areas, you go up and down huge hills that give you some pretty good views of the trees and the surrounding areas. There are even tours that you can take around the state. Halloween! The best holiday of the year hands down…. right next to Thanksgiving which is still during the fall season! Truth be told… I’ve already started my fall/Halloween decorating because it’s some of the decor that I can leave up the longest (I don’t take it down till after Thanksgiving), the kids love it, and it’s my favorite time of the year. A few other favorites…. pumpkin pie, pumpkin cheesecake, pumpkin bread, pumpkin oatmeal, and of course turkey and dressing. What are some of your fall favorites? psssttt…. it’s Thursday and time for Mama Kat’s world famous writer’s workshop! So I’m linking up with her and everyone else. Also…. I should mention that’s she’s pretty awesome because in her email we all get on Monday with the prompts in it she featured my post from last week about my top 6 apps! WOOHOO! Fall is my favorite time of year. There is just something about the crisp clean air coming in through the open windows, the bright blue flawless sky, and all of the gorgeous colors the trees change into as summer fades slowly away. It could be that after a long summer and all those hot and humid days the cooler weather is the reprieve that we all have been waiting for. It also could be that we can finally pull out all those comfy sweaters, tall boots, and cute scarves that have been hidden in the backs of our closets. Of course there is shopping for new ones too! 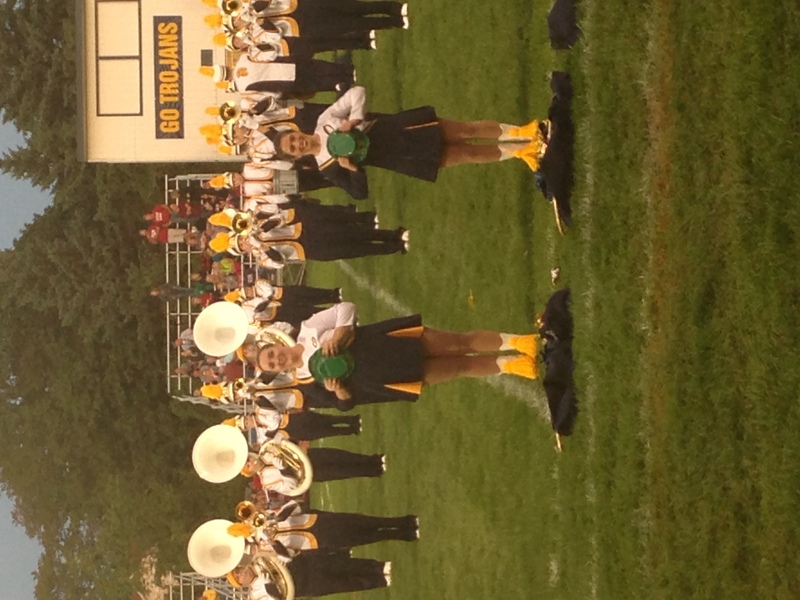 Football games… back to school… half time band performances…. visiting apple orchards…. 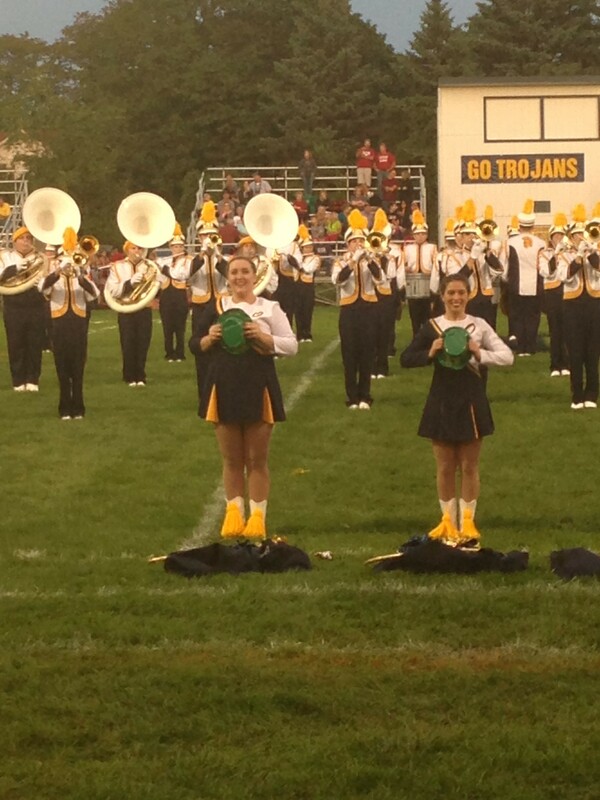 The girl in the middle is my daughter! So proud of her! One of my favorite parts of fall is the change in the cooking and baking! Truth be told I love being able to create fun new treats with pumpkin and comforting casseroles. The other day I got the October issue of the Rachael Ray magazine and fell in love with it… it was packed with tasty pumpkin treats and my favorite is the pumpkin risotto. I seriously can’t wait to give it a try one of these weekends! 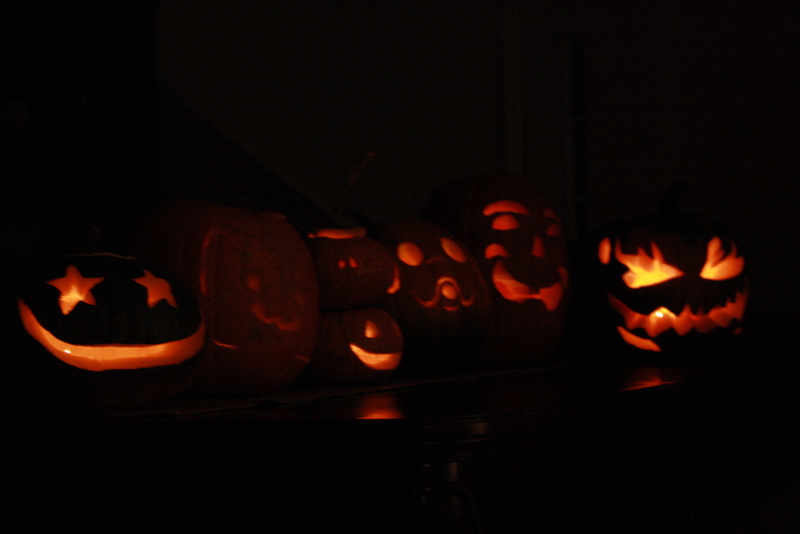 That one recipe led me on a hunt for other pumpkin based recipes… sweet or savory it didn’t matter. And I hit the jackpot! 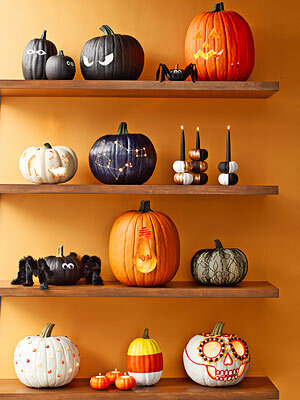 Holy cow… Two Peas & Their Pod scoured the internets and found 50 of the best pumpkin recipes! The hard part now is trying to figure out what one to make first and hoping that I can do it in a way that is healthy! This fall I decided to get a bit crafty and make a fall wreath and sew some pumpkins from cute Halloween fabric that I found at JoAnns… then in the Rachael Ray magazine I found 36 different ways to decorate a pumpkin… I’ll have to find the easiest one and give it a shot. There are a few there that look pretty complicated…. or time consuming… actually it’s both. I’ve shared a few of my favorite fall type recipes in the past. Check them out! Pumpkin Pecan Bars… these are beyond delicious! Sweet potato casserole that is perfect for a side dish for Thanksgiving but is sweet enough that you can eat it as a dessert! 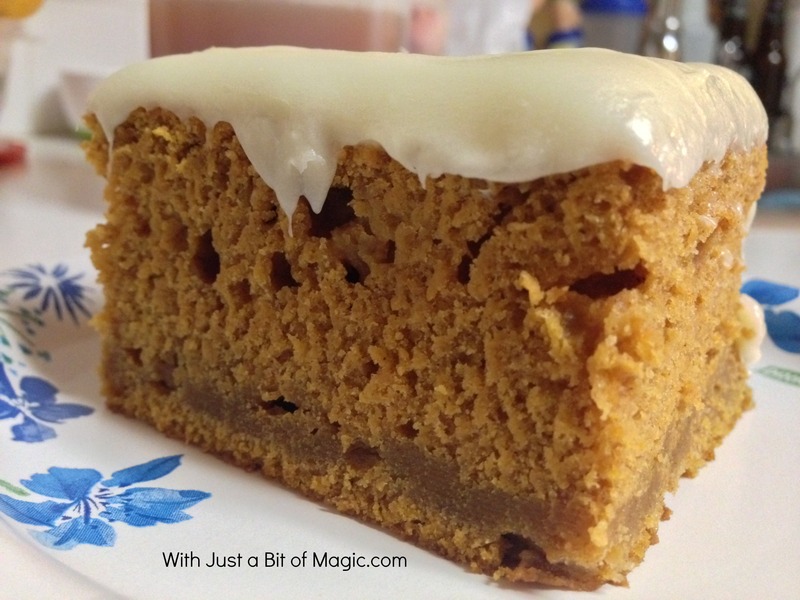 So, if you’re looking for something just a little bit healthier try the Pumpkin Crunch Cake. But if you want to skip healthy and go for purely sinful then try the Pumpkin S’more Bars! I may have a slight addiction to pumpkin… I throw a spoonful or two into my oatmeal, use it as the wet ingredient with a cake mix, and even add a bit to a vanilla shake. What’s your favorite part of fall?